In two weeks (January 28th), the viewing public will be presented with a highly promoted TNT six-part miniseries, “I AM THE NIGHT.” Starring actors Chris Pine, India Eisley, as my niece, Fauna Hodel, and Jefferson Mays playing the role of my father, Dr. George Hill Hodel. Steve’s side of the events, along with that of the rest of his family made for a really unique story. “I really think it was a catharsis for every single one of them. I think that they have been carrying this story and their pain for their entire lives — since they were children and they have all had uniquely shocking stories about what they have been through — really heartbreaking,” says Levitt. 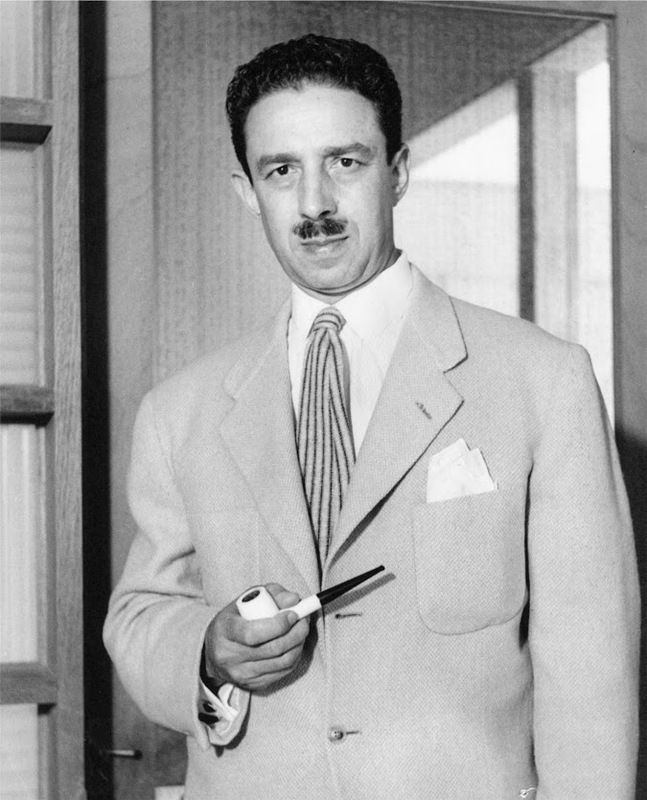 The newest evidential linkage to Dr. George Hodel—The W. Glenn Martin Letter, written in 1949 by an LAPD paid police (Internal Affairs Division) undercover informant, W. Glenn Martin was discovered and presented to the public in BLACK DAHLIA AVENGER III (Rare Bird Books November 2018). 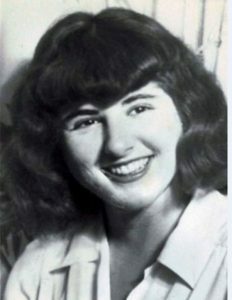 As revealed in the Afterword Chapter of BDA III, Martin’s Letter was in effect a “Dying Declaration” naming George Hodel as the killer of Elizabeth “Black Dahlia” Short and identifying him to the police as the probable suspect in a second 1949 LA Lone Woman Murder victim, Mrs. Louise Springer who lived in Hollywood, just three directly west of Hodel’s Sowden/Franklin House. Martin in his letter informed detectives that both he [Martin] and George Hodel were acquaintances and they both knew that victim, Mrs. Louise Springer, prior to her abduction and murder. Springer was kidnaped on June 13, 1949, sexually tortured and then strangled to death. Her abduction occurred just two blocks from where Elizabeth Short’s body had been posed on the vacant lot some two years earlier in January 1947. 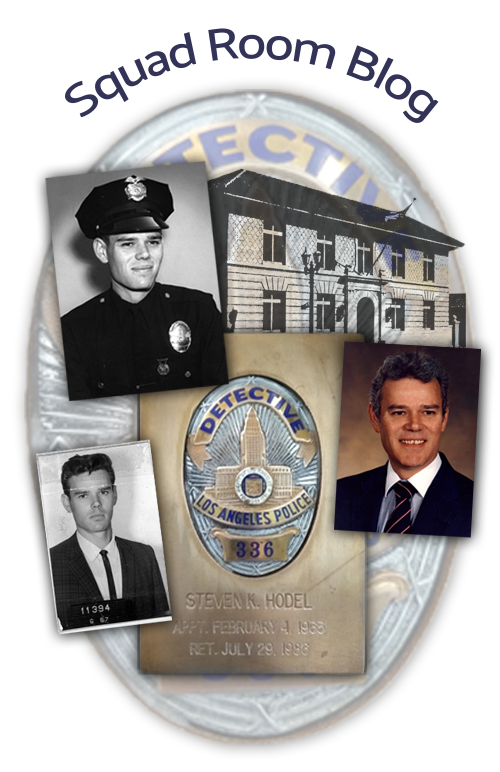 This new evidence confirms separate police documents establishing that Dr. George Hodel was “grilled by LAPD detectives” on three separate LA murders over a four-year period. Those being: 1) Ruth Spaulding (his personal secretary) in 1945 for suspected forced overdose, 2) Louise Springer in 1949, who he also knew and may have dated prior (?) and 3) Elizabeth Short whom he knew, dated and was questioned by both FBI and the LADA detectives in the weeks prior to his taped confessions and admissions at his home in Feb/March 1950. BLACK DAHLIA MURDER/ Retired LAPD Detective Reveals New Evidence Pointing To Prime Suspect– His Father Major article summarizing new evidence by journalists Daniel and Anne Vasquez CLICK HERE. On this, the 72nd Anniversary of my father’s horrific murder of Elizabeth Short I can do little more than say to Elizabeth and to all the other LA Lone Woman Murder victims, may you all REST IN PEACE. I can offer little more than my sincere solace to each of you and to your living relatives. I am deeply grieved by the sins of my father and the only reparation I can provide you is some slight degree of closure found in the knowing and solving of my father’s many crimes. 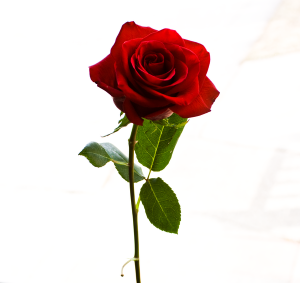 To the following additional Los Angeles victims, know that you were not forgotten and the truth of his terrible crimes and his name, Dr. George Hill Hodel will live in infamy, and may that knowledge and the solution of his crimes provide you and your families with some small degree of closure. 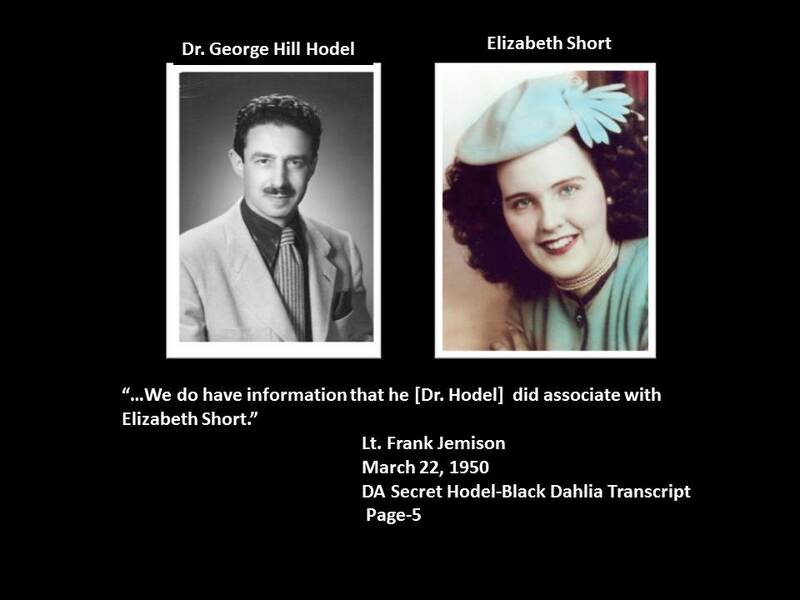 The incredible nexus of revealed clues due to your dogged ‘truth-seeking’ investigation into The Black Dahlia” and “Lone Woman Murders” posits only one conclusion that Doctor George Hill Hodel was responsible for the murder and surgical hemicorporectomy of Elizabeth Short. Of all the named or proposed ‘suspects’ only GHH had the means (actual surgical training and practical experience) regardless of any one else who could have conceivably had the motive and opportunity to murder Elizabeth Short. May she rest in peace. I check in on your website every six months or so when it crosses my mind to see what new info you have on the case. I had no idea today was the anniversary of Elizabeth’s death. I am so excited about the TV show and podcast! Ever since reading your first book years ago I could see the cinematic possibilities of your family story. It just has all the makings of a movie. Hopefully these Hollywood efforts will bring renewed interest in the case and renewed believers in your theories. Thank you for continuing to honor these women by searching for the truth. Root of Evil , airs Feb.3? On what network? Diana C: No the scheduled first airing for Root of Evil is set for FEB 13.
announced in advance, and I will post once I see which ones. Well I hope that both productions generate more books sales for you and… Maybe DNA testing! Have you submitted your DNA to the familiial sites? I know they are testing DNA on zodiac now. Heinz K: No, she was buried at Mountain View Cemetery in Oakland, California in 1947. Sorry Steve, I knew that, but did not make a destinction between LA and Oakland authorities.. Anyway who was the benefactor of providing the final resting place? Tc H.
I also can’t believe I just happened after a few years to pop in to your site on this momentous day as well. I had been watching on YouTube and an ad showed with what appeared to be a black dahlia case movie and filmed in the actual home where she was killed, so I knew it had to be calling your father the suspect, so I came here to find out what is up. I didn’t know about the third avenger book, so I will purchase it right away. Bravo as usual for all you’ve done, and for your heart and intelligence in pursuing justice no matter where it led.